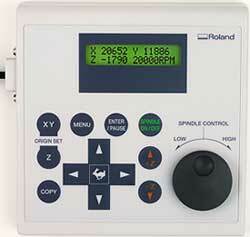 Roland's innovative EGX-350 offers professional engraving at a very attractive price. All functions have been carefully engineered to facilitate user-friendly operation, while providing first-rate capabilities. 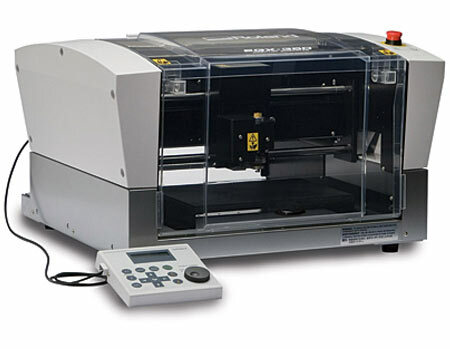 The EGX-350's proven technology, functionality and versatility combine to make it the most advanced computerized engraving system available at its price. Software bundled with the EGX-350 Dr. Engrave - Dr. Engrave has an automatic layout function for importing Mircosoft® Excel® and CSV database files for faster engraving of nametags and nameplates. Dr. Engrave quickly and automatically lays out jobs to fit material in the most efficient way possible. Another key Dr. Engrave feature is its ability to convert Windows® TrueType fonts into single-line fonts for optimal engraving. MODELA 3D TEXT - MODELA 3D TEXT converts Windows® TrueType fonts into MODELA Player or 3D DXF format for engraving 3D reliefs. 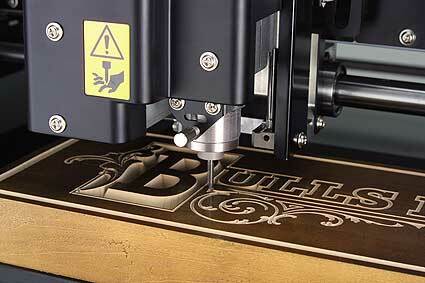 3D Engrave - 3D Engrave uses 2D graphics or bitmaps to generate 3D relief models. Virtual MODELA - Virtual MODELA enables the simulation of finished 3D models and accurately estimates machining production time. Lighting effects, material color and bitmap overlays can be added to accurately represent the finished product. Make Rhinestone Transfers For Garments Too!